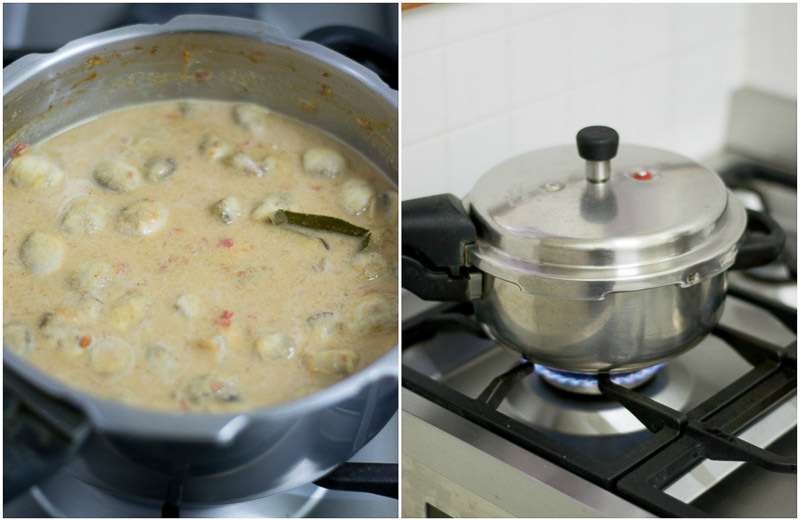 Mushroom Salna – Recipe for home-style Mushroom Salna. Perfect side dish for parotta or chapati. 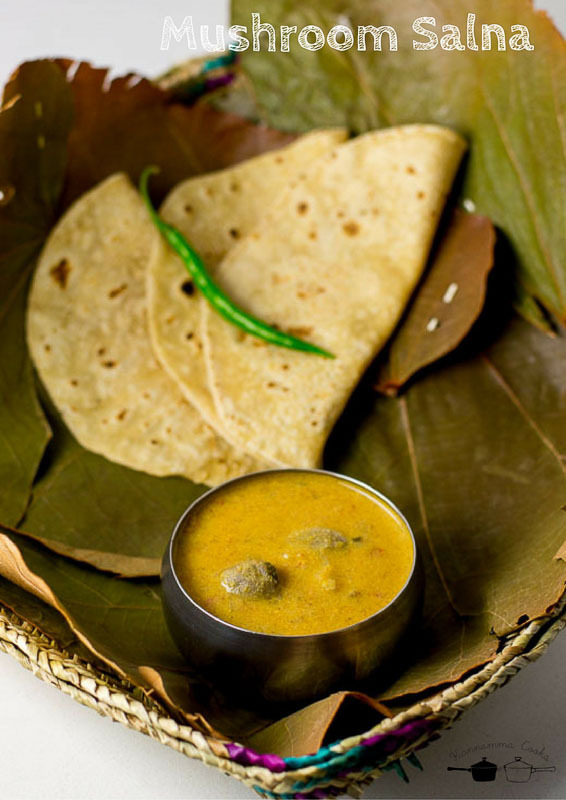 Madurai style Mushroom Salna. Recipe with step by step pictures. This recipe again is from our friend Karthi’s mom Manju Auntie. 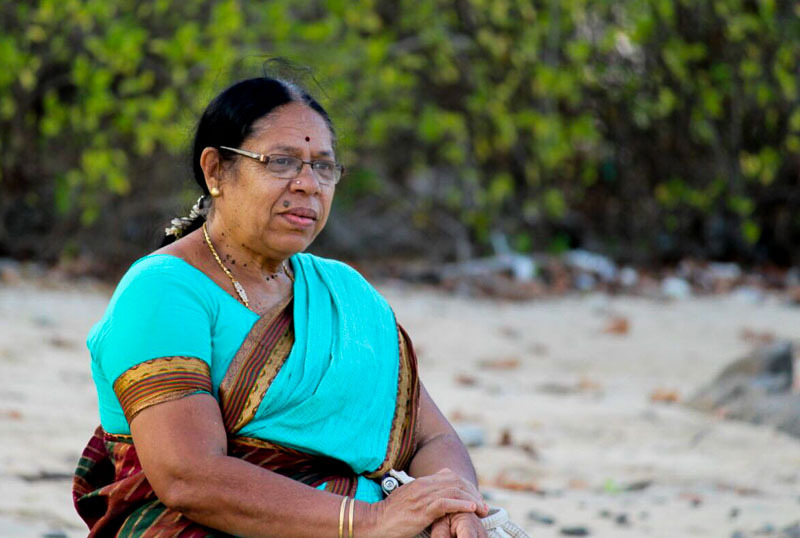 We all call her “karti amma” or karti’s mom. Manju auntie cooks some of the most flavorful homestyle dishes. She is from Madurai. She cooks with so much enthusiasm and there is a feast waiting if she is in the kitchen. 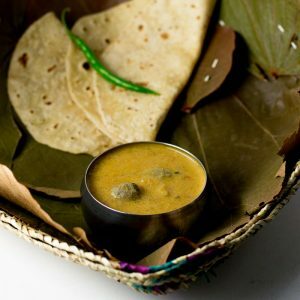 This recipe for mushroom salna is one of her everyday dish kind of recipe and goes so well with chapati or parotta. Do try at home. 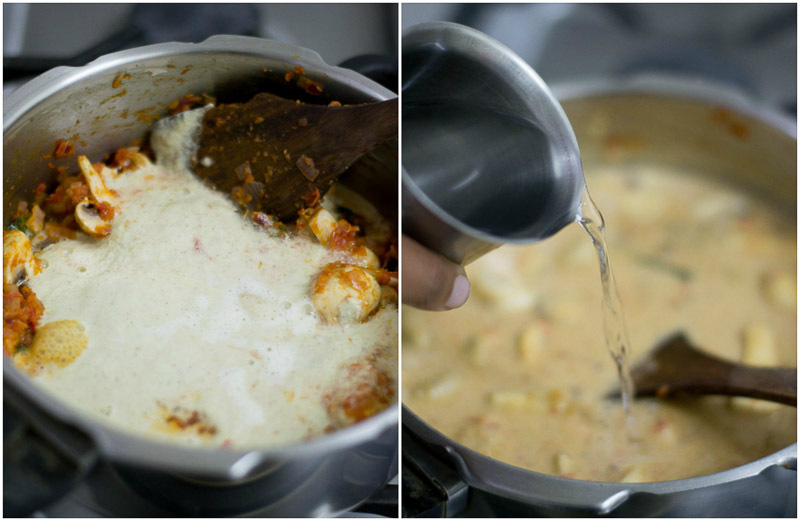 You will need a pressure cooker for this recipe as the masalas needs to be cooked well for the flavours to really come out. It will take a long time if made in an open pan. So heads up on that. I have used a 3 liter cooker for this recipe today. 2 or 3 liter cooker is so versatile and I use it for everything everyday. 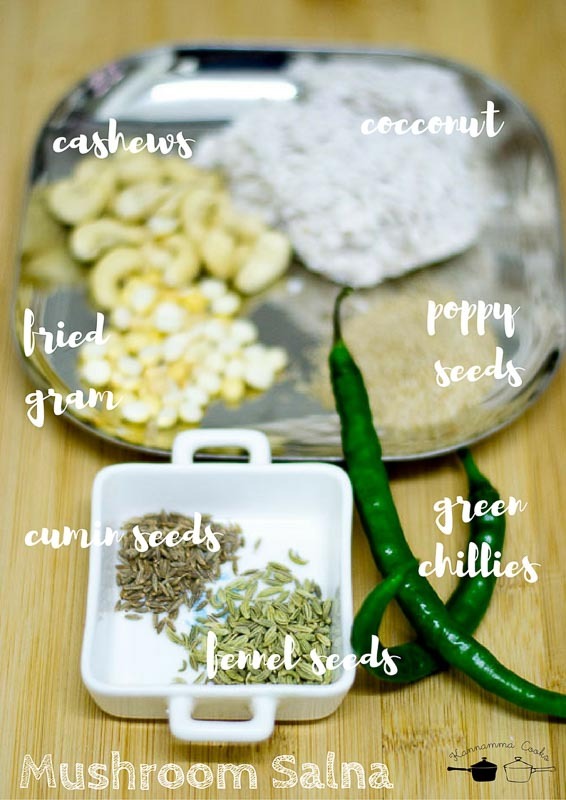 We will need to make a masala paste for the Mushroom salna. Here is what you will need. Grind all the ingredients for the masala paste to a very fine paste adding about a cup of water while grinding. Do not add too much fried gram while grinding. The salna will become a paste and wont be palatable. Make sure to grind everything to a very fine paste. The khus khus (poppy seeds) will take time to grind. If you do not have access to poppy seeds in a country where you live, just omit it. 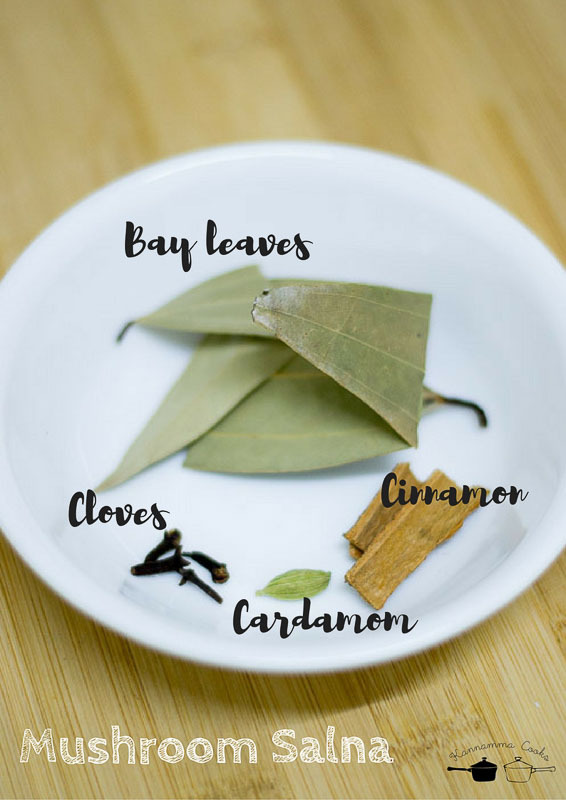 We will be using the following spices to temper the salna. Get them ready. Heat oil in a pan and add in the whole spices. 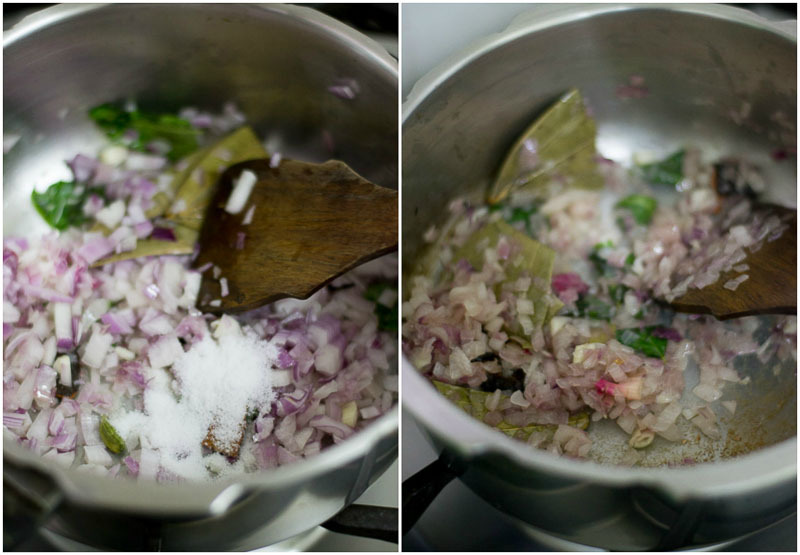 Add in the curry leaves to the hot oil. 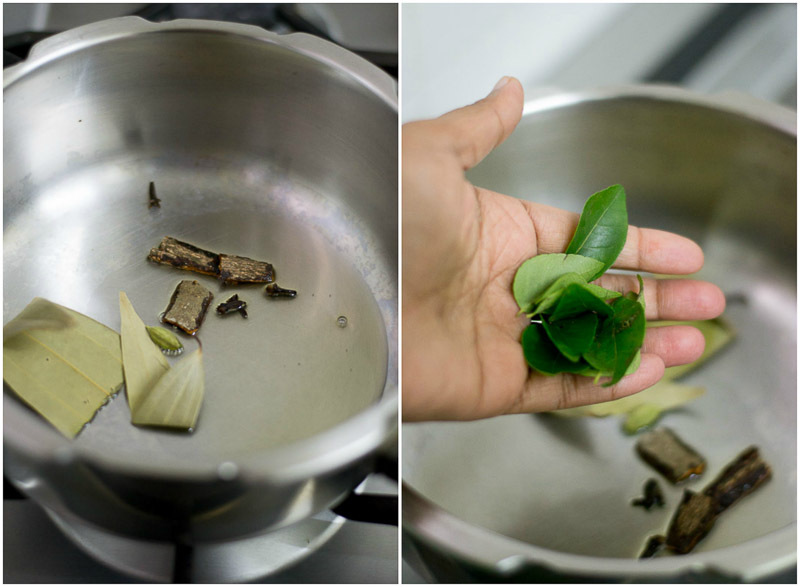 The aroma of curry leaves when it hits the oil is one of the fantastic smells of a South Indian kitchen. Add in the chopped onions and the salt. Salt helps in sauteing fast. Saute for five minutes until the onions are starting to brown. Grind the tomatoes in a mixie and add it to the pan. Add in the coriander powder and red chilli powder. Saute for five minutes till the tomatoes are cooked well. Add in the diced mushrooms and mix well to combine. Add in the ground masala paste and two cups of water. Make sure the salna is watery as the sauce will thicken when it cooks. If the sauce is thick at the beginning, it will scorch at the bottom when it cooks. Cover the pan and pressure cook for 5 whistles. It will take around 12-14 minutes on medium flame. 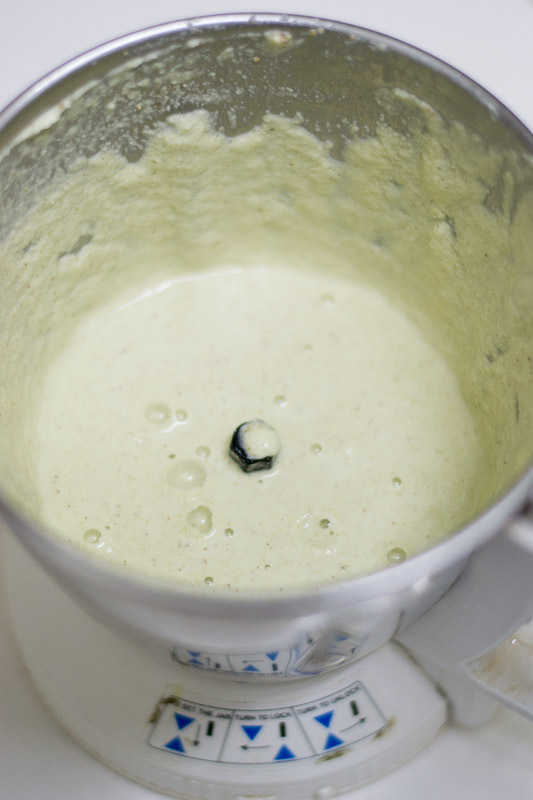 Remove from heat and wait for the pressure to settle naturally. Open the pan and garnish with coriander leaves. Serve with chapati or parotta. 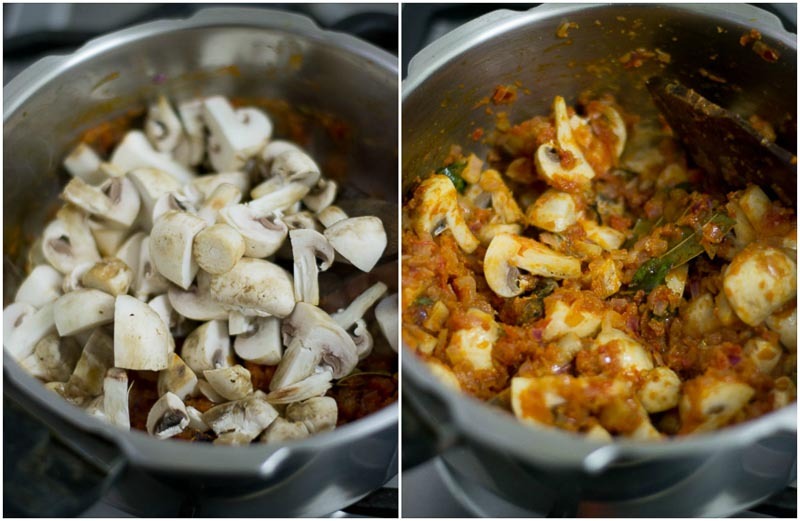 Recipe for home-style Mushroom Salna. Perfect side dish for parotta or chapati. 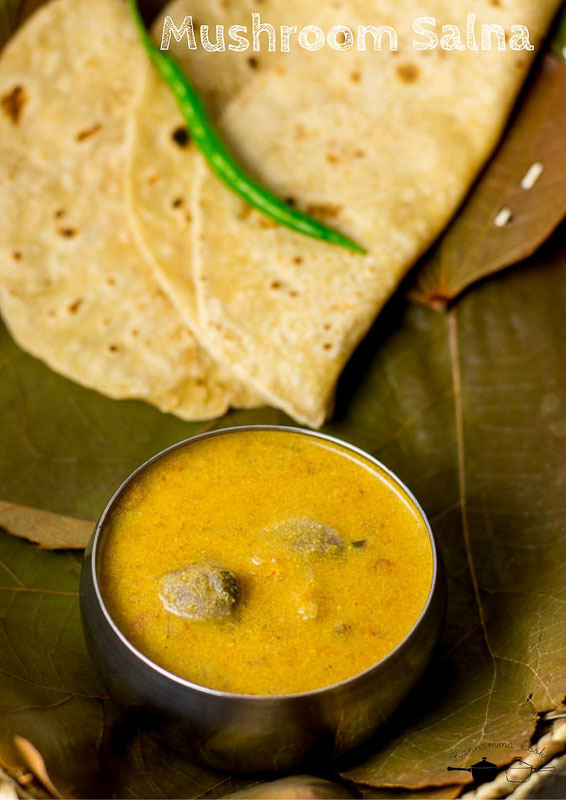 Madurai style Mushroom Salna. 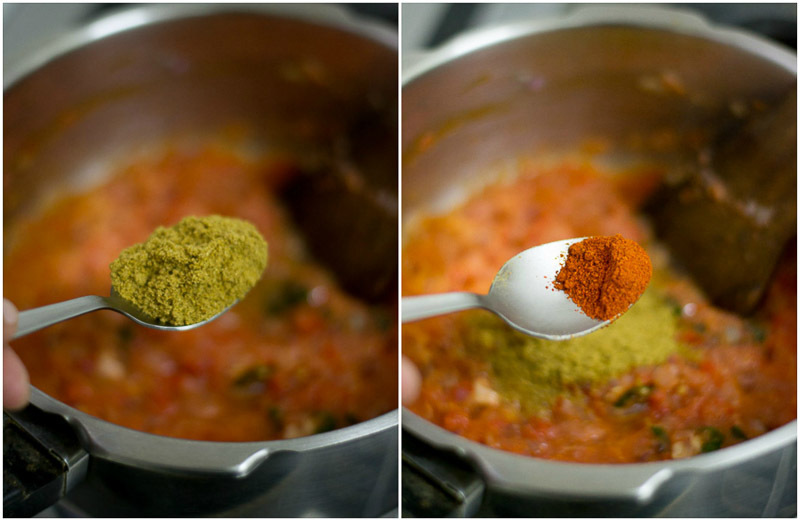 Grind all the ingredients for the masala paste to a very fine paste adding about a cup of water while grinding. Heat oil in a pan and add in the whole spices. Add in the curry leaves to the hot oil. Add in the ground masala paste and two cups of water. Hi ma’am. I just tried this dish without poppy seeds, fennel seeds and still it came it so good!! If I added chicken instead of Mushroom it would have been a perfect Salna for Barotta. Thank you so much for this recipe and keep rocking!! Hi! LOVE ALL UR RECIPES! But Mine tasted a bit sweet , how can i reduce the sweetness? Hi Neena, You can up the green chillies to your taste. Thanks Vidhya. Glad you liked it! Once again turned out gold. Migga chirappu.Starting the preparation now.Status to be updated after eatifying. Sagothari vaalga ungal thondu.I am confident it will turn out yummy for the tummy.I am planning to add soya too as addition. Thank you Mam for sharing an amazing yet a simple recipe. Always a great fan of your recipes. Thanks for sharing your wonderful recipes. Would like to know whether salna and kurma are the same? Salna is a little lighter and always has coconut and peanuts or cashews added. Hi, What can be substituted for Mushroom??? Will Paneer work out?? Or the usual Potato, Carrot, beans and peas….